Get Amber Wake on Audible for FREE! There are two ways to get my book FREE. 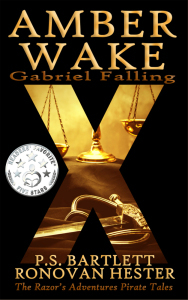 Click HERE and sign up for Audible for a free 30 day trial and chose Amber Wake: Gabriel Falling. Email me at ronovanwrites (@) gmail (dot) com with I WANT AMBER WAKE FREE in the subject line to enter a drawing for 1 of 13 codes. I will do a random drawing from all those who enter. To listen to a sample click HERE and click on the forward play button on the cover image. I received a copy of this book from the author for an honest review. And of course with me, you know that’s what you get. Good or bad. Here we go! What happens when an L.A. music exec goes on sabbatical to Ireland? Well this is a romance, so I’ll say romance, along with love, music, and most of all confusion—caused by love, language, and longing. You might think a Southern girl who moved to L.A. might be accustomed to culture shock and speaking a different language, but Ireland is an island unto itself. Dancing to an Irish Reel is about American Hailey meeting real Ireland and new-to-love Liam Hennessey. What you get is a story of Hailey learning about the place she comes to call home and as she learns about it and begins to understand it, she also begins to understand the man she falls for. I like the character of Hailey. She is not your stereotype romantic leading lady that people like to think of. She is strong, knows what she wants, has common sense, and above all—she doesn’t do the typical damsel in distress routines. Men, you will like this book. I say that because men need to realize that a great deal of books with Romance in the genre are not exactly what you may think. Movies men seem to like have romance in them and could be labeled as such in genre. So get a clue. In other words this will hit with all people. I found this book a bit of a surprise in some ways. Things don’t happen the way you expect, which to me is good. You want to be surprised these days. I do want to say that the character of Liam, well—Fullerton does a great job of explaining the Irish male in several places from different viewpoints. Very interesting, I thought. You might at times want to hit Liam over the head with something, like his accordion, but then, he is a man, it’s love, and he’s young, so what else would you expect? And that is one thing that makes this book real and allows the reader to connect with it. No one is perfect in the book. Even those thought to be perfect are flawed deeply, and not entirely due to their own doing. And as for the accordion, it’s a loved instrument in Ireland and makes Liam somewhat of a local celebrity. I loved the description of Ireland, the people, how the language works and the culture itself works in so many different ways. Those parts alone make you think you have read a much larger book because you learn so much. I view the romance part of the story as a side by side symbolic representation of Hailey’s coming to terms and coming to understanding Ireland itself. How does the book end? Is it a happy ending? That’s something you have to find out for yourself. Does Fullerton leave things open for a sequel? Could there be a trilogy or even a series of Hailey books? Personally, I would like to see more of Hailey in Ireland. How Fullerton uses Hailey to teach us about the real Ireland is something that needs to be revisited. I recommend this book to lovers of Ireland, real people, common sense romance, and reality. You may be looking at that Reader Enjoyment number and wondering why. There were certain characteristics of Liam that somewhat annoyed me at times. I think maybe it was because I’m American and he’s Irish and as Claire Fullerton explains in the book, those two types of men are different. But Liam is real to the Irish male character. Perhaps being of Scottish background, maybe it’s just me. Claire Fullerton grew up in Memphis, TN and now lives in Malibu, CA. She is the author of literary fiction, “Dancing to an Irish Reel,” which is set in Connemara, Ireland, where she once lived. 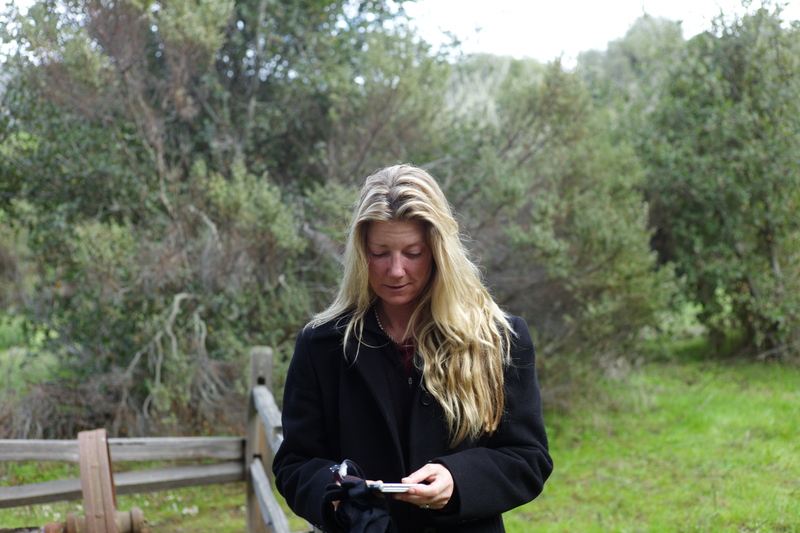 She is also the author of “A Portal in Time”: A paranormal mystery that unfolds in two time periods set on California’s hauntingly beautiful Monterey Peninsula, in a little village called Carmel-by-the-Sea. Both of Claire’s novels are published by Vinspire Publishing. Claire is a three- time award winning essayist, a former newspaper columnist, a contributor to magazines including Celtic Life International and Southern Writers Magazine. She is a five-time contributor to the “Chicken Soup for the Soul” book series and can be found on Goodreads as well as the website under her name. Currently, Claire is writing her third novel, which is a Southern family saga based on her award winning essay in the 2013 San Francisco Writer’s Conference. Ronovan is an author, and blogger who shares his life as an amnesiac and Chronic Pain sufferer though his blog RonovanWrites.WordPress.com. His love of poetry, authors and community through his online world has lead to a growing Weekly Haiku Challenge and the creation of a site dedicated to book reviews, interviews and author resources known as LitWorldInterviews.WordPress.com.